Topics without N are topics that are continuing from the set of Part 1 topics in the previous 4-month period.. Usually the questions will be the same as in the previous period but I might find some new questions. If that happens, I will label the question as N.
"Similar to above" means the wording of the question is not clear or different people have reported slightly different questions. You might get one of those questions from any group that includes the original question or those labeled, "Similar to above" but not more than one of them. I collect these questions from what people all over the world have reported on the internet. I have a suspicion that a few Part 1 questions that people in countries like India report are not in the examiner's question book. Examiners must strictly ask exactly and only what is written in the question book. But since several people in some countries report a few questions that look more like Part 3 than Part 1, I am guessing that some unsupervised or poorly trained non-native English speaking examiners might be making their own questions in Part 1. Normally, each Part 1 topic has only two or possibly three questions that are similar to Part 3 questions, not 4 or 5, as some of these people seem to report. Either some examiners are forming their own questions or several people in these countries are reporting memories of their answers in the form of imagined questions that were not actually asked. The questions listed under "Questions Possibly Still in Use" were used in recent testing periods and some of these questions are possibly still being used, even if they haven't been reported yet. Since 'Your Work' is a high probability topic if you are working (or usually work), then you should think about all the questions in both groups. (Similar to above) Can you describe your work? (Similar to above) What do you do in that job? (Similar to above) What are your (main) responsibilities at work? (Similar to above) What do you do there? Do you use any special tools or instruments in your job? Do you need to work extra hours (= overtime)? (Possibly) How would you like to spend your free time, if you had it? Is it an interesting job? What do you think is the most interesting part of your job? Do you think you are an especially hard-working person? Does it require hard work? (Similar to above) Is it hard work? (Similar to above) Is your work (or, your job) difficult? (Similar to above) Is your work easy to do? What's the most challenging part of your work? What's the hardest thing (or, part) about your job? Which do you think is harder, being a student or working (in a paid job)? What are your (work) plans for the future? What would you say are the benefits your get from your work? Do you think money is the main factor when people select a field of work? What other factors are important when selecting a future job? Do you find your job stressful? (Possibly) Where do you work? (Similar to above) Is that a popular choice of job in your country? Do you prefer working alone or in a group? (Similar to above) Do you prefer working with people. or on your own? Do you prefer to work in the mornings or in the afternoons? (Similar to above) When do you think you work more efficiently, in the mornings or in the afternoons? Do you think it's good for teenagers to have part-time jobs? (Similar to above) Is your work the same as what you imagined it would be when you chose this type of job? Did you have many jobs before this one? Do you plan to stay in this job for a long time? (Similar to above) Do you plan to continue doing that work in the future? (or, that type of work / or, that job)? Do you think your work (or, job) is important? What would you say is the most important part of your job? Do you think your work will be more important in the future? (Possibly) Is there anything you'd like to change about your work? Do you see any changes in your job in the future? (Similar to above) Do you think there will be future changes in your field of work? (Similar to above) Do you think your way of working or work culture will change in future? Do you think your job will still be relevant in the future? Which do you think is more important, the work you are doing or the people you work with? (Different to above) Which do you enjoy more, the work you are doing or people you work with? Do you feel your co-workers (or, colleagues) have confidence in you? Notes: For high school students or recent high school graduates who have not yet started university, the word "school" or the words, "high school" or "secondary school" will be used instead of "university". If you are no longer a student now and have not yet started to work, the questions will be about the last time you were a student, either high school or university, and the questions will be asked in the past tense. For high school students (or recent high school graduates), the word "subjects" (plural) will be used. When the examiner is asking questions about high school here, they will possibly choose one of your high school subjects, such as physics, and ask a question about it. For university students, the word "subject" will be used, which has basically the same meaning as the American, "major". Try not to use the word, "major" in your answer, although it is correct English – the questions will be asked using the word, "subject", not the word, "major". There are probably two or even three different sets of questions for this topic in the examiner's question book, all being used in the same testing period. I have no way of knowing which questions belong to which set so all the "studies" questions are grouped together here. The questions listed under "Questions Possibly Still in Use" were used in recent testing periods and some of these questions are possibly still being used, even if they haven't been reported yet. Since 'Your Studies' is a high probability topic if you are a student (or have not started work yet), then you should think about all the questions in both groups. (Esp. for high school stds.) What subjects are you studying? (For high school stds.) What's your favourite subject? Do you like (or, do you enjoy studying) your (or, that) subject? What's the most important part of your study program? What's the most interesting part of your studies (or, your subject)? What would you say is the most useful part of your course? Do you think your subject (your major) will have a good future? (Similar to above) How do you think you'll be able to use what you are learning now in your future work? (Similar to above) What do you think is the most useful part of your studies (for your future work)? Do you feel that's a difficult subject to study? (Similar to above) Is it necessary to study hard in that subject? (Similar to above) Do you think studying is hard work? What's the hardest thing about your studies (or, your subject)? Do you have any future plans involving your subject (= your major)? What do you plan to do (or, hope to do) after you graduate? What work do you plan to (or, want to) do after you finish your education? (Similar to above) What are your future career plans? (Similar to above) What kind of work are you planning to do in the future? Do you find being a student to be stressful? What do you usually do after class? (Esp. for high school stds.) What's your favourite subject? Do you prefer to study alone, or in a group? When did you start studying ____ (your subject)? What's the most enjoyable part of your studies? (Similar to above) What's your favourite subject? (Similar to above) What subject (class) that you are studying is the most enjoyable for you? What's the most interesting thing about your subject(s)? (Similar to above) Is your subject the same as what you imagined it would be when you chose it? Is it very difficult (or, easy) to study that? How do you study that subject? Do you attend classes every day? Which do you think is more important in the education process (or, in the classroom), the teacher or the students? Note: Sometimes the topic is specifically about the city or place that you are living in now, regardless of whether it is your hometown or not. Therefore, instead of the word, 'hometown' in these questions, the examiner might actually ask you about where you are living now. Is there anything special about your hometown? Would you say it's an interesting place (to live)? (Possibly) What part of your city do you live in? (Similar to above) What part of your country do you live in? Can you (or, could you) describe your hometown a little? (Similar to above) Please describe your city. (Similar to above) Do you like it? What part of your city (or hometown) do you like best? (Similar to above) What is your favorite place in your hometown? What would you say is the most interesting part of your hometown? Are there any famous places in your city? (Similar to above) Is your city famous for anything? Would you say it's a good place to live in? Are there good amenities (or facilities) where you live? Would you say your hometown is a suitable place (suitable for you, and other people) to live? Do you think you'll always be living in your hometown? (Similar to above) Will you continue living there in the future? (Similar to above) Do you plan to continue living there in the future? (Similar to above) Will you go back (to live in) your hometown in the future? (Similar to above) Would you like to continue living there in the future? (Similar to above) Would you like to live there (or, here) for a long time? (Similar to above, but different) Do you plan to live there (or, here) for a long time? (Similar to above) Would you like to move somewhere else in the future? Would you like to live in a smaller place (or, smaller city)? Would you like to live in the country(side)? (Different to above) Would you like to live in another country? Is the (public) transport system in your hometown convenient to use? (Similar to above) What would you show a visitor to your hometown? (Similar to above) What would you recommend a visitor to your hometown see and do? Is that a big place or a small place? Has your hometown changed much in the past few years (or, decades)? What facilities and services are available in your hometown? Would you like to return to your hometown when you retire? (Probably the question above is really this) Would you like to live in the countryside when you retire? (Similar to above) Would you like to live in the countryside when you are old? Do you like living in _______ (your hometown, or where you are living now)? What are the good points and the bad points about living here/there? (Possibly) Is there anything you dislike about it? Can you suggest how it could be improved? Would you say it has good facilities? Does it have good educational facilities? Would you say it's a suitable place for young people to live? Do you live far from here (the examination room)? Could you describe it a little? (If you live in a dorm) Do you like your roommates? (Similar to above if you share a house) Do you like your housemates? What do you think are the advantages of living in a ______ ? (flat or house, whichever you live in). (Similar to above) What facilities and services are there in your neighbourhood (= near your home)? Is your home near a bus stop? Are there many shops near your home? Which part of your home do you like best? (Similar to above) Which is your favourite room? Is there anything you don't like about that room? Is there anything you would like to change about your home? (Similar to above) Would you like to move somewhere else? Would you say your home is a suitable place (suitable for you) to live? Do you plan to live (or, to continue living) there for a long time? What kind of place (home) would you like to live in, in the future? (Similar to above) What would your ideal house look like? Will you (or, do you plan to) buy an apartment or house in the future? What can you see when you look out your window at home? How long have you lived (or, been living) there? How do you like where you are living now? (Similar to above) Do you like your home? (Similar to above) Do you enjoy living there? What's the most enjoyable part of living there? Would you say your home is a comfortable place to live? Would you prefer to live in a big house or a small one? (Possibly) Do you get along well with your neighbours? (Possibly) What types of shops are available in your area? (Similar to above) What type of place did you live in when you were a child? Did you like the place you lived in as a child? What are the differences between the place you live in now and the one you lived in as a child? Would you like to move to a different home? What sort of home would you like to live in, in the future? What are the differences between the place you live now and where you have lived before? What do you usually take with you when you go out (leave the house)? (Similar to above) What are some important things you usually carry when you go out? Do you carry different things when you go to different places? Do you carry different things with you in the mornings, and in (or, compared to) the evenings (or nights)? What sorts of things do you (or people) usually take with them when they travel? Have you ever forgotten to take something important with you when you went out? What are some ways (you use) to avoid forgetting to take something with you? Do you like listening (or, do you often listen to) to music? Do you think it’s difficult to learn how to play a musical instrument? Did you often listen to music when you were a child? Did you have any music classes at school? Do you think it's necessary for children to have music classes? (Similar to above but different) Do you think it's important for children to have music classes? Do you like shoes? = Are you interested in shoes? Do you prefer to wear casual shoes, or formal ones (shoes)? Do you prefer shoes that are comfortable or shoes that look nice? (Similar to above) Do you prefer shoes that are comfortable, or fashionable ones (shoes)? Do you think it's necessary to spend a lot of money on shoes? Can you explain why some people are willing to buy expensive shoes? Do you think people have too many shoes these days? Do you know anyone who has a large number of shoes? Do you think it's good to have many pairs of shoes? Can you suggest why some people collect shoes? do you like making (new) friends? (Similar to above) Do you want to have more friends? Do you prefer to have many friends, or just a few close (or, good) friends? (Similar to above) Which do you think is better, to have a lot of friends, or just a few friends? How much time do you spend with your friends? Do you remember your friends from primary school? What did you like to do with your friends when you were at school? Do you like making friends online? (Different to above) Do you like chatting with friends online? Do you think you will make many new friends in the future? When friends in your country meet each other, do they prefer to hug, and kiss, or shake hands as a greeting? How do people make friends (form friendships) in your country? Would you say friends are (or, having friends is) important? Do you have a mirror at home? How often do you use a mirror? 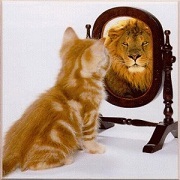 (Similar to above) Do you often look in a mirror? (Similar to above) How often do you look at yourself in a mirror? Do you like to look at yourself in a mirror? Do you look at yourself in a mirror before (= when) buying clothes? Have you ever bought a mirror? Do you think mirrors are necessary? (Similar to above) Do you think it’s necessary to have a mirror at home? Do you think mirrors are a good choice as (or, for) decoration in the home? (Similar to above) Do you think mirrors can be used for decoration? (Similar to above) Do you have any mirrors as decoration in your home? Do you do much housework? (If yes to above) Which household chores do you like doing? Are there any household tasks that you dislike? Did you do any housework when you were a child? (Similar to above) Did you help your parents do housework when you were a child? Do you think children should do housework? Do you think it is important to teach children to do household chores? Do you have dreams when you sleep? (Similar to above) How often do you dream? What dreams do you usually have? (Similar to above) Have you ever had an interesting dream? Do you remember your dreams after you wake up? How long do you remember your dreams for? Do you share your dreams with others? Do you like to listen to other people talking about their dreams? Do you think dreams have any special meaning? Do you think there are any connections between people's lives (or people's reality) and their dreams? Do you have any idea why people dream when they sleep? Would you like to learn more about dreams? Note the pronunciation of this word. It is not pronounced the same as the name, "Robert". A small number of people pronounce it as, "row-bow" (the French pronunciation) but that pronunciation is rarely heard these days. Do you like to watch films that show robots? Did you like to watch cartoons about robots when you were a child? What do you think robots are able to do? Do you think robots help humans? Would you like to have a robot in your home? (Similar to above) Would you like a robot to work in your home? (Similar to above) Would you like a robot to do housework in your home? Would you like a car that has a robot as the driver? Do you think scientists will design personalized robots in the future? (Similar to above) Do you like to watch TV? Do you prefer to watch TV with other people, or alone? (Possibly) Do you usually watch TV with other people, or alone? Do you think you watch TV too much? (Similar to above) Do you think you watch too much TV? Did you watch TV a lot when you were a child? What's the difference between watching TV today, compared to watching TV in the past? A "wrist watch" = a "watch"
(Similar to above) Do you wear a watch? (Similar to above) Do you like to wear a watch? Did you wear a watch when you were a child? Why do some people wear a watch? (Similar to above) Did anyone ever give you a watch as a gift? Why do you think some people buy expensive watches? (Similar to above) Why do you think some people like wearing an expensive watch? What would you say is different about watches today, compared to the past? (Similar to above) Can you tell me why many people don't wear a watch nowadays? "Computer games" = "video games". Do you like (to play) indoor games? What (indoor) games do you play at home? (Similar to above) What indoor games do you play? (Similar to above) What are some indoor activities you enjoy doing? Do you prefer to play indoor games, or outdoor games? What are some indoor games you played as a child? Did you like playing computer games when you were a child? Do you like playing computer games now? Do you think young people today play computer games too much (= spend too much time playing computer games)? What are some differences in computer games nowadays compared to the past? In your opinion, what effects can playing (indoor) games have on the people in a community? What forms of public transport do you have in your hometown? Which of those do you usually use? Is it easy to use public transport in your city (or hometown)? What's the furthest you've traveled using public transport? Which do you think are better for long trips, planes or trains? What's the most convenient way to travel to the countryside? Do you prefer public transportation, or private transportation? Is driving to work common in your country? (A bit different to above) Is driving to work popular in your country? Do you think people will continue to drive to work in the future? (Different to above) Do you think many people will still be driving to work 20 years from now? Do you think you'll continue to use public transport in the future? Do you think you'll use public transport more in the future (= more than now)? Would you like to ride a bike to work? How do you think the government could encourage more people to use public transport? What can the government do to ensure safety on public transport? Possibly the words, "secondary school" are used instead of "high school". If you are still a high school student, the examiner will adjust the questions, for example, by using "do" instead of "did" and "is" instead of "was". What's the happiest of your high school memories? Are there any things you dislike(d) about those days? Is (or, was) there any subject you didn't like? Which subject did you find the most difficult? Can you remember what your first day at high school was like? Who helped you the most in high school? Do you think secondary education is important? Would you like to be a high school teacher? Do you like to eat fruit? How often do you eat fruit? Did you eat that kind of fruit when you were a child? Do you think eating fruit is important? Do you think people should eat more fruit? What do you think are the benefits of (or, is the importance of) eating fruit? Do you ever add fruit when you cook something? Do you know (all) your neighbours? How important are your neighbours to you? Would you prefer to have young people, or old people as neighbours? Would you say you have a good relationship with your neighbours? Do you think it's important to be a good neighbour? Do you think it is important to have good neighbours? Have you ever been helped by a neighbour? Do you (like to) read magazines? How often do you read them (magazines)? Did you read any magazines when you were a child? Which did you prefer to read when you were a child, magazines or comics? (Possibly) Which do you prefer to read, magazines or comics? What kinds of people read magazines? Who do you think reads magazines more, young people or old people? Do you ever read online magazines? (Similar to above) Do you ever read magazines, online? How often do you send an email to someone? Do you prefer to contact others by phone, or by e-mail? Do many people often use e-mail in your country? (Similar to above) Is using email popular in your country? What do you like to do on sunny days? What effect(s) does sunshine (or a sunny day) have on you? What sorts of things do people (in your country) do on sunny days? Is it usually this sunny in your country? Would you prefer to live in a place with more sunshine, or less sunshine than here? Does your country use solar energy? (Similar to above) How do you usually celebrate your birthday? Did you have birthday parties when you were a child? What do (young) children like to do on their birthdays? Which birthdays are most important in your culture? How often do you wear jewellery? What kinds of jewellery do you like? When was the last time you bought some jewellery? (Possibly) Have you ever bought a ring or a necklace? Have you ever given jewellery to anyone as a gift? Why do you think people like jewellery? Can you suggest why (some or most) people keep jewellery for a long time? How did you learn about history? Do you like watching TV programs about history? Have you been to any historical places (or, sites)? What kinds of historical places would you like to visit? (Similar to above but asking for names of places) What historical places would you like to visit? Do you think people should have to pay to enter a history museum? (Similar to above) Do you think it should be free to enter a history museum? Is there any particular historical person (or, figure) that you're interested in? What do you think is the value in studying (or, learning about) history? (Similar to above) Would you say history is important? Would you say we can predict the future from learning about history (or, from learning about the past)? Do you think we can learn about history from films? Would you like to learn more about history? How do people in your country show politeness? Do you think politeness is important? Who do you think should teach children to be polite? How do parents teach their children to be polite? In your country, do you think politeness has changed in the past few decades? (Similar to above) Do you think people today are more polite than people were in the past? Do you think advertisements help people? Why do you think there are so many advertisements? Where do you usually see them (advertisements)? Have you ever bought anything because of an advertisement? Do you prefer funny, or serious advertisements? Do you like advertisements on the internet such as like pop-up advertisements? How do you feel when advertisements suddenly appear while you're watching television? What do you think of billboard advertisements? How do you feel about advertisements on buildings? What time (or, when) do you usually get up? When is (or, what's) the best time of the day for you? (Similar to above) What's your favourite time of the day? What's (or, when is) the busiest time of the day for you? How is your daytime routine different to what you usually do in the evenings? Do you go out much in the evenings? What time do you usually go to sleep (or, go to bed)? How has your daily routine changed from several years ago? Is there anything you'd like to change about your routine? Do you like pop stars? (Possibly the question above is this) Are you interested in pop stars? (Different to above) Would you like to be a pop star? Do you prefer going to live concerts, or listening to music recordings? Do (you or / you and) your friends often go to see pop stars? (Similar to above) Have you seen a pop star in person? Would you like to meet a pop star? This topic might not have been in use in China in the May-Aug 2017 period. It was in use in China in the previous two testing periods. The examiner will first ask you if it's OK to ask you questions about your family. You are allowed to say "No" if you prefer not to talk about your family and the examiner will then choose a different topic. Do you live with your family (your parents)? Do you think it's good to live with one's family? Is the amount of time you spend with your family now the same as it was before? (Similar to above) How do you spend time with your family? Which of your family members do you like the most? Which family member do you think you are most similar to? Is the idea of family very important in your country? Which is more important to you, your friends or your family? Have there been any changes to family life in your country in recent years (or, the past few decades)? Is technology affecting family lifestyles today? What would you say is the importance of extended family? The wording is unclear but I think the question is something like that. It might be, "Has your family lived in many other apartments/houses?" or, "Has your family moved often to different living places?" In that question, "family" means your parents & siblings but it could possibly include earlier generations of your family living in the same house, for example, 100 years ago. Note that the examiner is most likely to use the British form, "have your family", not the American form, "has your family". The British consider family as "them" or plural while Americans consider it as one group, "it". When you speak or write, both are correct. Make sure you know the difference between the two verbs, "bring" and "take". "Bring" is associated with "here" but take is associated with the word, "there". Similarly, "being" and "here" go with the verb, "come" but "take" and "there" go with the verb, "go". An example of "bring", spoken at work on a rainy day: "Did you bring your umbrella?" An example of "take", spoken by your wife at home after you come home with no umbrella: "Did you take your umbrella to work today?" Have you learned how to play a musical instrument? This question is present perfect tense ("have you learned") but I think the past tense ("did you learn") is usually used in Part 1 of the speaking test. But that does not mean that the present perfect tense is never used. If the present perfect tense is used, you should first say, "Yes, I have" or, "No I haven't" or something like that. Following that initial reply, if you say yes then it would be a good idea to say when you learned it but you don't have to say that. If you do say when you learned it, you need to use the past tense such as, "I started learning the piano when I was 8 and I continued to to study it for about two years." If the question was in fact asked using the past tense ("did you learn") then a past tense time must be included in the question. For example, "Did you learn to play a musical instrument when you were a child?" or, "Did you learn to play a musical instrument at school?" Do you think everyone (or, anyone) can play a musical instrument? This is the wording that was reported for this question. But I think that wording is might be inaccurate. If that wording is accurate, then of course not everyone can play a musical instrument – only people who have learned to play an instrument can play an instrument! So the real wording is most likely to be, "Do you think everyone (or, anyone) can learn to play a musical instrument?" Although it is possible that the words, "indoor activity" or "indoor activities" might be used in a question, the topic is mainly about indoor games. This topic was previously used in 2012. See here for those questions. Below is a copy of the notes I wrote in 2012 for this topic. For some of these questions, the examiner might just say "games", or he might say, "indoor games", or he might say, "electronic games", or simply "activities". This is not clear yet but keep in mind that the topic is "Indoor Games". Listen closely to the exact words that are used in the questions. The examiners might use the term, "computer games" or they might use, "electronic games", which includes hand-held electronic games on a variety of electronic devices. Or they might use the older term, "video games". This topic is not about "indoor sports"! What is an "indoor sport", anyway? It's hard to think of any sports that are only or almost only played indoors. Ping-pong is probably played outdoors as much as it is played indoors. Basketball, especially professional basketball, is usually played indoors (on a nice smooth wooden floor that will not tear your skin if you fall over) but it is also played outdoors in many places. The only example I can think of for an indoor sport is snooker, and the related games of billiards, pool, 8-ball, 9-ball etc. If a snooker table is left outdoors permanently, it will become damaged by rain. This topic is about various games that are usually played indoors but which can also be played outdoors in good weather. A good example of that is chess, played in a public park. You can also play a computer game on your laptop computer or some other device while sitting in the park. The game of snooker (and similar games) is one example of a game that is also called a "sport" that I think would be acceptable to talk about for this topic. There might be a game that does not have an English name (such as weiqi and majiang) or a game that you don't know the English name for. In both of these cases, you should try to give the examiner a very short explanation of the game. Don't forget, this is a test of communication ability, not just a test of language. To simply say "weiqi" or "mahjiang" is not good communication, although some English speakers do know what "mahjiang" means because many old ladies in the English-speaking countries like to play mahjiang with their friends. (It is pronounced as "mahjong" in English.) If you don't know the English name of a game but successfully communicate what it is, you will get points for that, specifically vocabulary points! This is called "paraphrasing" and it is judged under the Vocabulary sub-score. See HERE for some vocabulary and internet links to websites on the topic of "games", especially indoor games. If you are living in a dormitory at the moment, it is perfectly suitable to say that. You need to have a clear understanding of the difference between a "game" and a "sport". Although most, but not all, sports are also games, only a minority of games are also sports. In other words, the majority of games are not sports. Although most children's outdoor games involve physical activity, such as running, that does not mean they are "sports". For example, a common kids' game that is played outdoors is "Hide and Seek". It is (usually) played outdoors and the kids run away quickly and hide. Another common kids' outdoor game is "Tag', which is a kind of "chasing game". Boys play marbles on the ground outside (although it could also be played indoors) but this game requires skill more than physical exercise. Girls play several physical and skill-based outdoor games, such as Hopscotch and various games involving a long skipping rope. Can you include in your answer a sport that is also a game? Certainly. For example, many children play soccer and some play tennis. But I doubt if basketball is a good choice. People usually only start playing basketball when they are teenagers and, don't forget, a teenager is no longer a child. Some primary school children have to engage in relay races (or competitions) in their Physical Education (PE) class. These are team competitions but it is not very suitable to call such an activity a "sport". It is also not very suitable to call a relay competition a "game". That question might be, "What's your neighbourhood like?" Your "neighbourhood is the area around your home, perhaps to a radius of 1 km. This is probably mostly for high school students but it is possible university students will also be asked about other subjects. "Would you like to change your job?" There are several things to understand about this question. 1) If you had just said that you enjoy your job (or, your work) then this question is unlikely to be asked, but it is still possible. 2) The most important point is this – someone has reported the question as, "Would you like to change your job in the future". This meaning is slightly different to the question, "Would you like to change your job?" That is, when "in the future" is added, the questions is similar to, "Do you want to change your job in the future?" or, "Do you plan to / hope to change your job in the future?" But when the words, "in the future" are not included, it means something like, "Would you be happier if you had a different job (now)?" or, "Do you wish you had a different job (now)?" To repeat: The question, "Would you like to change your job?" most commonly means, change it NOW. It means the same as, "Would you be happier if you had a different job (now)? ", "Would you prefer to have a different job (now)? ", "Would you change your job (now), if you could? ", "Do you wish you had a different job (now)?" etc. The vast majority of times when a native English speaker says, "I would like to ...", without adding "in the future", he or she means that he or she would be happier if the present situation (now) were different. For example, "I would like to be younger". It would be nonsensical to talk about being younger and add the words, "in the future"! "I would like to be younger" means the same as, "I wish I were younger ". Some learners of English (in China, at least) mistakenly assume that, "Would you like ...?" is always (and only) referring to the future, when this is not true. 3) On the other hand, it is possible that the question, "Would you like to change your job in the future?" is really being used. That question is similar to, "Do you want to change your job in the future? ", and also similar to, "Do you plan to change your job in the future? ", "Do you intend to change your job in the future?" or, "Do you hope to change your job in the future?" 3) If you are doing the IELTS test with the intention or hope of migrating, for example to Australia, then almost certainly you will "change your job", meaning you will change your employer but you might not necessarily change your occupation, such as computer programmer. In this situation, it is somewhat unsuitable to talk about "liking to" or "wanting to" to change your job or your occupation in the future because you will have little choice. Although I wrote in Note 16 that the majority of the time, native English speakers don't say, "Would like to" when referring to the future, sometimes they do. The question, "In the future, what type of home would you like to live in?" (= "What type of home would you like to live in, in the future?) has a similar meaning to, "What type of home do you want to live in, in the future?" So why would, "Would like to" be used instead of, "want to"? Firstly, "want to" is more emphatic and similar to "plan to" but most people simply have "hopes" about where they will live. Secondly, "would like to" is used because it sounds gentler i.e., it is less emphatic or less aggressive sounding – it is more "genteel" or more "polite" sounding. Would you like to teach children how to swim? Possibly that question is worded as, "Would you be willing to teach children how to swim?" This has a slightly different meaning to the first question. Do you think it's important to learn how to swim? = Do you think it's important to know how to swim? = Do you think it's important to be able to swim? If the question is worded that way, without specifying "help with your studies", then it is possible to say that your classmates give you more help concerning your personal life, lending you money etc. but your teachers give you more help concerning your studies. This is an important question and you have a 50% chance of getting this question. See some important notes here, on the website. Those notes are about the question, "Why did you choose to study that?" The question, "Why did you choose that type of work (or, that job)?" is grammatically the same. Which is more important for you at school, the teachers or the other students? Possibly the question is asked in general terms like that. Alternatively, the question might emphasize your study, i.e., "In your studies, which is more important for you, the teachers or the other students?" The first question could possibly be answered in terms of your social life, your friends at school. Possibly the word, "hoped" is used instead of "imagined". The word, "handicrafts" might be used, or the words, "hand-made things" might be used, or possibly both are used, in different questions. This is not clear yet. In fact, a "hand-made thing" and a "handicraft" are very close in meaning. The meaning of a, "hand-made thing" is something like, "made by a person, not made in a factory". The meaning of a, "handicraft" is focusing more on the creative or artistic aspect of making this thing, or the idea that it requires skills to make this thing. The word, "handicraft" is sometimes used to mean the thing that is made by hand. However, the most common usage of the word is, "a handicraft" = an activity or a skill; the activity of making something by hand that requires some skill and/or artistic ability, such as needlework or making pottery by hand. Obviously, you need to talk about what people need and want when they are growing up, (People stop growing at about the age of 18, or earlier.) The question is not the same as, "Would you say it's a good place to live? ", which refers to people of any age. Therefore, it is not suitable to talk about the infrastructure in your hometown such as roads and bridges when describing what people need and want when they are growing up. This question and the one following it might be worded as "How has it changed? ", not "How much has it changed?" If the words, "to do" are not included, it is possible to talk about what kinds of dancing people like to watch, not do. But you still should not ignore the point about what forms of dancing people like to do. Some people in China give the example of "square dancing" but this is a mistake. Square dancing is a particular form of a quite old style of dancing in a group that is done in the West, a form that is still popular with country people and in primary schools, where they teach the kids how to do it. Those Chinese people are translating 广场跳舞 (town square dancing) when they say, "square dancing". Just call it "town square dancing" and try to give a short description of what it means. There is no English name for it, as far as I know. It is possible that the examiners are not using the words, "primary school" and, instead, are asking, "Can you describe your first school?" or, "Can you describe the first school you attended?" If this is the case, "my primary school" is the correct name for it but the examiners are testing to see if you know that name for it. "Elementary school" is the American style of "primary school" and is not wrong but in the IELTS test, using the British English style is best. Don't say your first school was a kindergarten because Westerners don't consider kindergartens to be schools. The question, "Do you prefer to write letters, or emails?" is really asking which you prefer in general, not just when communicating with your friends. However, if the examiner announces at the beginning of this topic that the topic is, "Communicating with friends" and not simply, "Communication" then you could assume that the question is specifically asking about writing letters or emails to your friends. Always pay attention to the exact wording when the examiner announces the name of the topic. If you have already completed your studies (either high school or university), this question will probably be, "What did you learn from studying that subject?" For high school students, the examiner will probably choose one of the several subjects that you say you are studying or studied, if you have finished high school. Basically, the examiner wants a summary of what you learned or the contents of the subject, possibly with a few specific examples of what you learned. Below is a copy of an email I sent to someone about the topic of "computers". On the topic of Computers (plural) in Part 1, that sort of question is referring to the various purposes of using computers, not the various technical ways of using computers. Anyway, there are not many different technical ways of using a computer – most computers work the same way. Your question also seems to indicate that you are confusing the two different words, "computers" and "the internet". These are two distinctly different things, although they are connected in some but not all cases. For example, people today can connect to the internet by using a mobile phone, which is not classified as a "computer". If the question is, "In what ways do people use the internet?" then, again, the question is USUALLY referring to the purpose of using the internet rather than the variety of technical ways of using it, especially if it is a Part 1 question. If the question is about the different ways of connecting to the internet, then the word "connect" or "go onto" would most likely be used, not just the word, "use". Different purposes i.e., usages of the internet are: 1) Entertainment especially viewing entertainment videos, listening to music audio files, connecting to real-time TV and radio broadcasts, reading entertainment articles such as gossip articles, and playing online games etc. 2) Personal Communication such as using emails, text message exchange services, direct streaming audio-video services such as Wechat, and expressing personal opinions on message boards 3) Getting information such as the news, which includes using non-entertainment audio-visual files & by reading webpages 4) Studying, either private study by researching information on the internet or more formal study such as taking an online university course, which might involve sending assignments by email or face-to-face discussion with a tutor via a service such as Wechat 5) Making financial or business transactions such as internet banking, buying & selling shares on the stock market, online shopping, making online hotel or airline reservations etc. 6) Exchanging computer files and data with others, including photos, audio-visual files, software, e-books, and data (such as my Updates service) etc. The internet is also used by governments & companies for sending and receiving real-time data such as the direct streaming of the data from surveillance cameras. Of course, computers themselves can be used for various purposes without being connected to the internet. One of the most common uses of computers is to write documents, including letters that are printed out and mailed by regular mail ("snail mail"). Other common usages are the printing-out of documents or previously downloaded webpages, and using a scanner to photocopy a document, a page from a book or a photograph. Your question was a good one, especially since it illustrates the confusion that some people have between the two words, "computer" and "internet", I will copy it and my reply to my Updates notes. The wording, "Would you like to change where you live?" can have two different meanings: a) "Would you like to make some changes to the place that you are living in?" or, b) "Would you like to change your address?" = "Would you like to move to a different place?" Meaning a) is the meaning that most people report. But a question about moving to a different place has also been reported. Your answer could possibly include what you are afraid of doing in the evenings. Most people have reported that the word, "celebrity" is used in this topic but some people have reported that the more general term, "famous person" was used, at least in one or more of the questions. All celebrities are famous people but it is not suitable to describe all famous people as celebrities. Well-known entertainers such as movie stars, well-known pop singers, TV hosts and sometimes sports stars can be called "celebrities". This is especially true if articles about their personal lives, or their personalities, are written in popular magazines or if they give interviews on entertaining talk shows on TV. Many people recognize the faces of celebrities because we have seen photographs of them quite often. However some people are famous for more serious reasons, such as being a high-level political leader, a leader in business, a renowned academic, an author of a serious but well-known book, or someone who has done a great deed such as being an inventor or scientist who made a great discovery. In most cases, it is not very suitable to describe these people as "celebrities", especially if people only know their names but generally do not recognize their faces, and if people do not know much about their personal lives or their personalities because these well-known people have never been interviewed by the media. (Similar to above) Do you like photography? Most likely the question used in this Part 1 is, "Do you like taking photographs?" However, the second question is possible although it would be more suitable as a Part 3 question because it is more suitable for expansion and discussion. "Photography" has a broader, more detailed meaning than, "taking photographs". The word, "photography" can mean one or all of the following aspects: Taking photographs; Learning about the different types of cameras and equipment that can be used for taking different types of photos in different types of situations; Developing photos in darkrooms (when rolls of film are used); Making changes to digital photos using software such as Photoshop; and Appreciating the photos of other people as works of art. Have you ever been to a place that had a lot of photographs? Possibly that question is expressed as, "Do you ever go to places that have a lot of photographs?" This question is more suitable when talking about your habits or lifestyle. i) Photograph exhibitions that might be held at places such as art galleries, public libraries or a public place such as a town square or park. Often the photos are all based on a single theme such as an event in history. Photograph competitions are similar to that. ii) Museums, especially history museums usually have a lot of old photos. iii) Newspaper archive offices usually have a lot of photos but the average person rarely visits these places. iv) Places on the internet that have collections of photos. There are many of these. People don't physically go to these places – they 'go' to the websites on the internet. In previous years, the 'rule' or custom was that one of Topics 1 to 3 is compulsory, and that only one of them is used for each candidate. But since 2016 I have seen several people reporting, in detail, two of these topics in their test. So it is possible that this rule is no longer being strictly applied. To "study" and to "learn" or "learn about" are not always perfects synonyms. "Studying" is an activity that is consciously done with the aim of "learning". "Learning" can be imagined as, "changing something in the brain". Even babies and animals learn. Especially the young learn a lot in a few short years. But you won't see a baby or a dog sitting at a desk studying! Everyone who studies, learns. But not everyone who learns comes from studying. Question: What's the difference between a and b here? a) What part of high school did you like the most (or, the best)? b) What part of your high school did you like the most (or, the best)? The first refers to your overall high school experience. The second refers to the building or the institution. This refers to the act of studying at home or in a library etc. Possibly this is a hint at the possibility of privatizing public transport. Which part of your studies do you like the most? Wording like this is referring to your whole experience of being a student, including where you live, the people you meet, how much free time you have etc. For example, maybe the part that you like best is the fact you you don't have to go to work! Of course, you can also answer by referring to a particular subject or topic that you are studying that you especially like. Here, "recent" does not have to be within the past month or year. It could be within the past 5 years or so. One recent change in many jobs is the change that better electronic communication (e.g., the internet) has brought in the past few years. Other technological changes (advancements) have also changed some jobs. This is asking about the value or importance of studying (or knowing) history. The question, "Where do you study?" can have two different meanings. a) It can mean, "What school or university do you attend?" b) "Where do you sit to write essays, prepare for exams etc? Do you sit at a desk in your bedroom or do you usually study in the university library?" The following question was not reported as a current Part 1 question. But it could be asked in a Part 3 about this topic. Do you think there's a danger from having people spend a lot of time in "a virtual world", instead of in "the real world"? The words, "choosing clothes" can refer to choosing what clothes to wear today, and they can also refer "choosing what clothes to buy". Most native English speakers think the word, "suburb" means, "the outer areas of a metropolitan area, where the whole metropolitan area is called a 'city'. "Suburbs" here is in contrast to "the inner city", "downtown" or, "the inner suburbs". Some people in non-English speaking countries seem to use the word to refer to smaller areas such as villages or towns just outside a city. So many different questions have been reported with the words, "study" and "hard" in the question. The question. "Do you study hard?" is just one of those questions. To "study hard" means to put a lot of time, attention and effort into study. It's similar to "do a good job at studying". It doesn't necessarily mean that your subject is "hard" (= difficult). Most people seemed to report questions about your subject being hard (= difficult) but possibly they misunderstood the question. Whatever the case, a question about studying hard, as well as a question asking whether your subject is difficult are both possible in the same test.